This was such a huuge tune for me back in 2000 .... 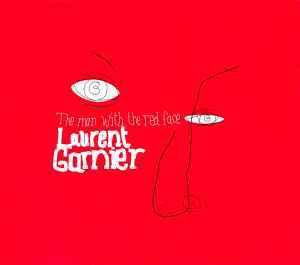 Already made big with "Laurent Garnier" in versions, blah, blah, blah ... The real club version for me was this "The Man With The Red Face (Jan Driver 'Long Distance Mix')" .... Assum !! ... Find it !!!! One of my "Big 5" favourite dance tracks. Officially a Techno track, but a tune that has a great amount of cross-over potential, having seen the track in House/Prog/Techno/Tech-House sets. I'm torn between the Original & Jan Driver mixes over what is the better mix, I've been leaning towards the original recently. As previously noted, LG apparantly didn't/doesn't like the Driver mix, but in truth both are very similar in structure. The Jan Driver mix is possibly a touch more dance-floor friendly, but could do with being a bit longer IMHO. To see the best version of the track, you have to see him live where he will rework/remix the track live stretching the experience to close to quarter of an hour. I've seen him do this in the UK and on the terrace at Space in Ibiza which was special. One confession. My TMWTRF vinyl is my most prized vinyl as I had it signed by the man himself. He was really good about it when I saw him in Bristol. Bit train-spottery I guess, but as this has been such an important tune for me in my clubbing,mixing,dance music time his "Merci, Much Respect" message means a lot. This is a seminal release in terms of classic feel good house/techno and can always be played at a party. It is clear that Garnier is well influenced by detroit techno styles but it is his use of the live saxaphone that makes this tune his own, not only fusing but forgeing a style which will never be forgotten. Never the mainstream but always a classic Garniers album release Unreasonable Behaviour is the perfect vessel from which to deliver this amazing tune. Laurent Garnier doesn't like the Jan Driver Remix and didn't want to release it. But then bootlegs of that mix occured in the UK, and Mute decided to release the mix for the UK market. Jazzy synths & crazy saxaphone riffs makes this record a different but refreshing tune. Made it's first appearance in 2000, definitely one for the collection. Can't believe I wrote that nonsense in my other comments about this track. That's what happens when you log on to Discogs after a night out. The remix is of course by Svek, and I'm warming to Funk D'Void's mix, although it still falls short of the original and the Svek mix. What a track. My hope is that in the future they'll be encouraging our kids to listen to this in the schools. What a motivation. There are so many words that could be used to describe this track, however none would give it justice. You have to hear it, feel it, dance to it, ride with it !!!!!!!! On the flip UMEK rises to he challenge and delivers the house mix, retaining that phat bassline with the emphasis on the sax solo, yet never losing the integrity of the original take. Funk D'Void attempts to create the techno alter-ego by leaving his mark on the track utilising breaks, (that initially don't work, eventually make sense, then lose it again ....) underpinned by a sweeping bassline and his take on the original melody. Lars' mistake, in my opinion, is that he tries to make the track his own..............!!! Perhaps he should have rejected the opportunity to rework it in the first place. But then..... How could you?